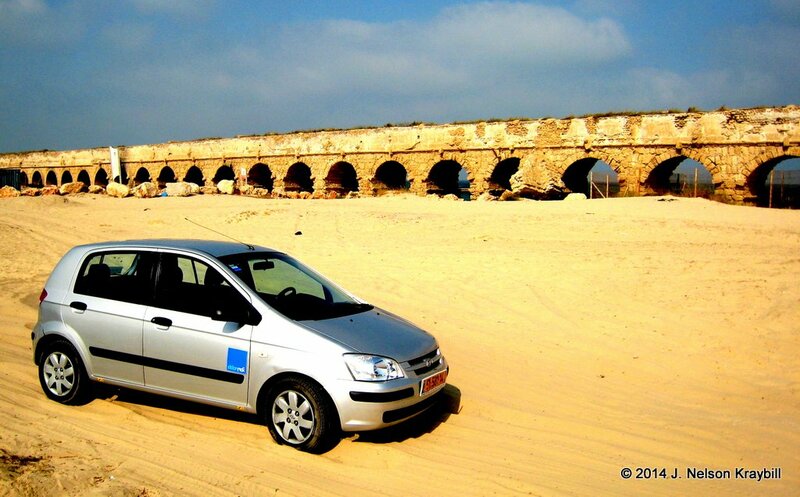 My rental car, stuck in the sand alongside the aqueduct built by Herod the Great. Traveling alone in a rental car, I arrived at the ruins of ancient Caesarea on the Mediterranean coast of Israel. In the New Testament era, Caesarea was the military and administrative capital of the Roman province of Judea. Here Herod the Great built a world-renowned port and named the adjacent city in honor of Caesar Augustus. A magnificent aqueduct that Herod installed to bring water from nearby Mt Carmel still stretches along the seashore. So when Peter received messengers from Caesarea, he followed them back to that headquarters of the occupying Gentile army. In the presence of Cornelius with his family and friends, Peter declared, “It is unlawful for a Jew to associate with or to visit a Gentile; but God has shown me . . .” Then Peter gave a summary of how God anointed Jesus of Nazareth to heal, to liberate, and to break down barriers. The Holy Spirit burst upon the gathering at Caesarea. Cornelius and company began speaking in tongues and praising God, then Peter baptized persons he had avoided all his life. This narrative carried me as I explored the theater, Herod’s palace, and other ruins of Caesarea. Then I drove a mile to see the aqueduct, and foolishly thought I could take my car alongside the structure on the sand. Promptly the vehicle slowed to a crawl, wheels spinning. If they spun more, I would only sink deeper! A lone Jewish man, next-to-naked in a Speedo suit, walked toward me. An athletic swimmer, he pushed my car from the front, and soon I was back on solid tarmac. When he answered my thank-you in fluent English, I asked where he learned the language. In the United States. He turned to leave, but I pressed further. Which state? Indiana. My home state! Which city? Some place you never heard of. No, really, which city? Elkhart. Elkhart! That’s my home! What were you doing there? I was in the military. Factories in Indiana make cruise missiles, Hummers, and other military hardware—which could explain why an Israeli military man was in my home state. The only further comment he made about Elkhart was that he liked sweetcorn from Charlie’s, the same produce stand where I buy. Then he wanted no more conversation, and briskly walked toward the water for his morning swim. As a pacifist who occasionally protests things military, I pondered the irony of God using a soldier to save me. Had I met the angel of Caesarea, or the centurion? That stranger in the Speedo, who never gave his name, was both. Sometimes unlikely people cross boundaries to show us God’s love. This entry was posted in Uncategorized and tagged Angel, Caesarea, Joppa by nelsonkraybill. Bookmark the permalink. 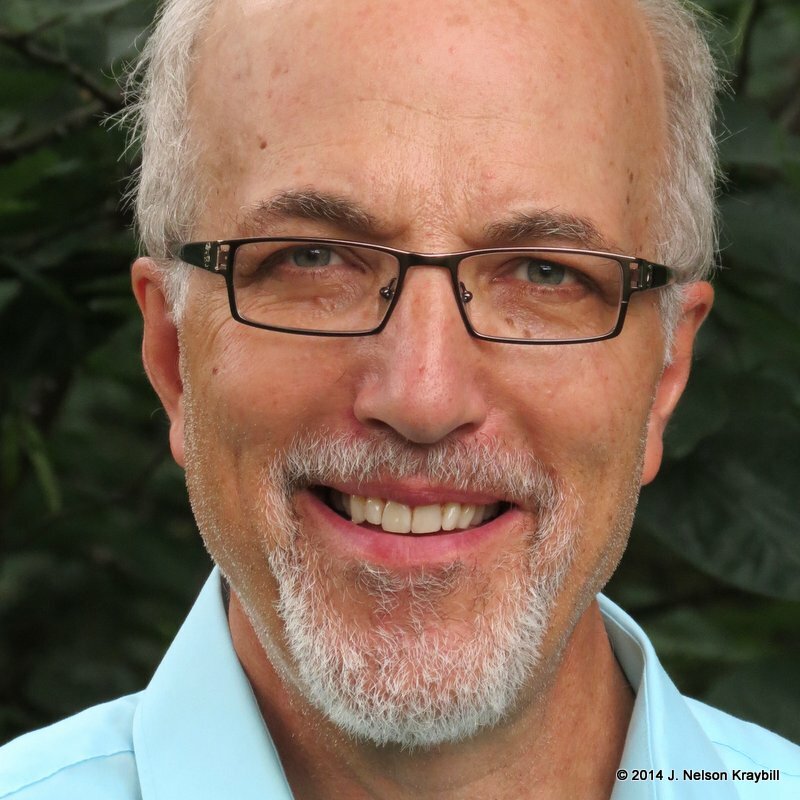 Thanks for your peace-pilgrim blogs. I enjoy hearing about your experiences in Bible places. I recently preached a sermon about Peter and Cornelius. I told the congregation that Cornelius’s messengers must have traveled with great urgency. They left Caesarea after 3:00 prayers one day and arrived in Joppa at noon the next day. This means that they either took the risk of traveling through the night, or else they jogged at a pace of 5 mph from daybreak until noon, to cover a distance of 30 miles. I’m wondering if I have imagined this journey in a way that fits with your experience of actually visiting the location. You mention a distance of 60 miles, which would make their speed even more impressive. Such a meaningful angel story! It is number three on my significant angel story list. I believe in angels.